Both thrive on the breakdown of the existing social order. Ebola is bad news, but it hasn’t generated the same kind of fury as that other fast-spreading scourge, namely the Islamic State (IS). 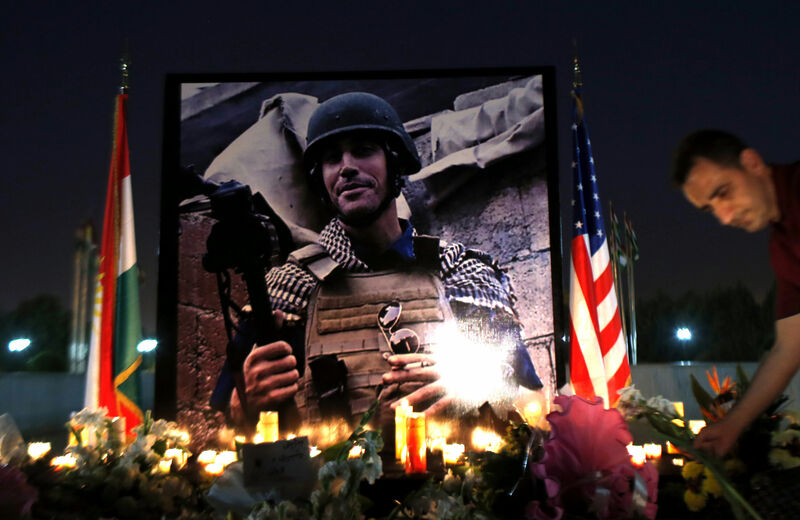 The recent beheading of US journalist James Foley has ratcheted up the outrage of American observers. It’s certainly not the first beheading that IS has done. The group specializes in meting out barbarous punishments—decapitations, crucifixions, amputations. But just as Ebola’s impact became real for Americans when it infected people “like us”—two US missionaries in Liberia—the United States was prompted to act against IS when it began killing non-Muslims, first the stranded Yazidis and then the abducted journalist. We, on the other hand, are good. We would never behead anyone. Those we execute “deserve” their punishment (though the occasional innocent person might inadvertently fall through the cracks). And the civilian casualties from our military offensives, because we are by definition good, are simply mistakes. After all, we don’t publicly celebrate the deaths of Afghan civilians from our drone strikes (forty-five in 2013 alone) or the deaths of over 400 children in Gaza. But our protestations of innocence are little consolation to the families of the victims. At what point do mistakes aggregate into something evil? At the very least, do they prevent us from claiming the mantle of good? And, of course, it’s not just the mistakes that are problematic but also the deliberate policies that, for instance, align Washington with dictators and other murderous actors. American disgust with IS may already have prompted intelligence sharing with the regime in Damascus, though the Obama administration has denied such deals. When it comes to medical infrastructure, Africa definitely has a compromised immune system. The continent has been hit hard by HIV/AIDS (70 percent of those living with HIV are in Africa), cholera (major outbreaks took place recently in Senegal, Zimbabwe and Sierra Leone), and malaria (an African child dies every minute from this disease). Ebola has spread rapidly because of critical shortages in medical staff and supplies. The common denominator is chaos. IS has ruthlessly expanded in the gray areas beyond the reach of the rule of law. In Syria, it has prospered in regions that already broke loose from the country during the uprising. In Iraq, it took advantage of a paralyzing conflict between Shi’a and Sunni that left the northern reaches of the country tenuously connected to the central government.